Handmade organic cotton canvas star cosmetic wash bag with initials. Designed and made in our Dorset studio. 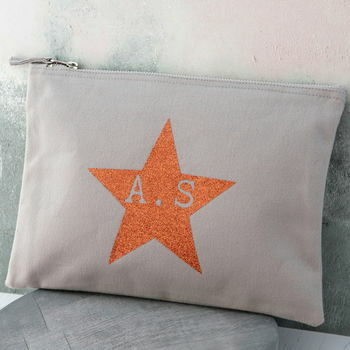 A stunning sparkle star cosmetics or washbag with personalised initials. Made from 100% recycled organic cotton with a metal zip for durability and practicality. This minimalistic design would make a lovely, well thought-out gift for a friend or loved one. Please note font size varies with number of initials. We have more designs available - take a look in our shop! 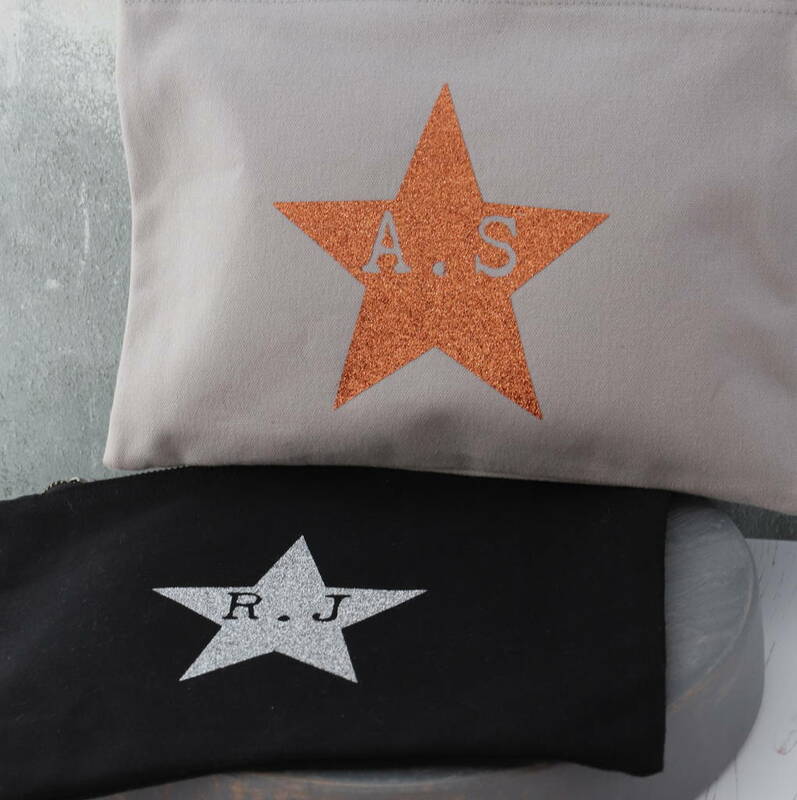 Featured product is a grey washbag with rose gold glitter design. We currently only have rose gold /grey design in stock. We own the copyright for this design, please do not copy. small: 4.5"x8" medium:6"x9" Large - 7.75" x 11.25"